We all love super-soldiers. That feeling of unapologetic invincibility we get when we play as a super powered being is overwhelming at times. However, it isn’t easy to relate to characters in first-person shooters, considering they murder others very frequently and in some cases, scream out obscenities every five minutes or so. 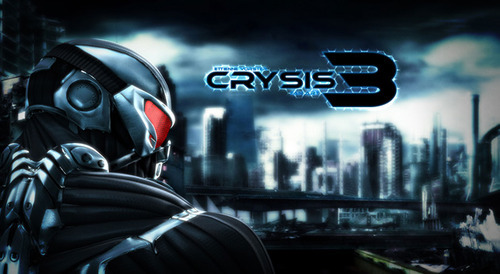 That is not the case with the Crysis series and its third installment. Crytek has commendably built up a great protagonist in Prophet for two previous games to culminate in Crysis 3. Oddly enough, one of the first things you’ll notice about Crysis 3 is how compelling the characters and story have become. Although Crysis 2 was well paced, a lot of the focus for the third installment went into conveying a narrative that would reach out to the player more than its predecessors which is a good reason as to why the core gameplay from Crysis 2 hasn’t changed very much. The roots of the story brings back the Nanosuit wearing Prophet into the fray as he resumes his fight against the CELL Corporation and the unknown entity, the Alpha Ceph. It also sets up the relationship between Prophet and his partner, Michael “Psycho” Sykes. On one hand, Prophet is desperately holding on to what’s left of his humanity and on the other hand, Psycho, stripped of his own Nanosuit and mentally and physically tortured by CELL, struggling to maintain his own mortality. This makes for great set pieces in the campaign. For what is essentially a futuristic sci-fi military shooter, Crysis 3 goes above and beyond to erase stereotypical grievances with the genre. The voice acting, facial animations, original score, and lip syncing are all on point and while the dialogue could be better, Crysis 3 has a surprising amount of heart. That being said, the ending is unfortunately underwhelming but I’ll just leave it at that since it is still well worth your time. 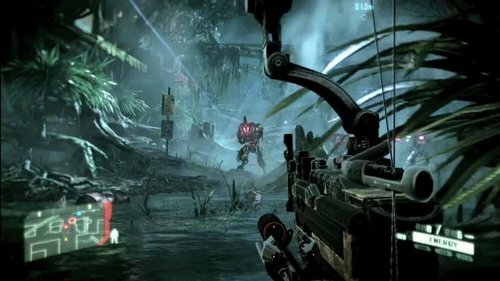 This campaign, although moderately shorter than Crysis 2 still is impressive and also leaves room for replayability due to the collectibles available in the various missions. 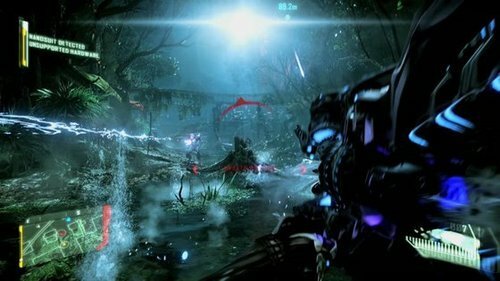 Crysis 3’s campaign offers a perfect mixture of the sandbox environments of the original Crysis and the linear set pieces of Crysis 2, providing a seamless experience to shooter fans. This game also controls very well and with the exception of the vehicle sections, you’ll have no problem traversing the environments at your own pace. As a result, the checkpoint system is much more generous, allowing for players to pace themselves almost at will. Naturally, the harder difficulty will lessen the amount checkpoints so it’s highly recommended to start at the normal difficulty first to accustom yourself with the campaign. Onto the signature aspect of the combat in the Crysis series: The Nanosuit. The Nanosuit has gotten some pretty neat upgrades since Crysis 2. An enhanced visor and energy is no longer being used while sprinting are just a few smaller ones. The most noticeable and useful is hacking which comes in the form of a short timed mini-game. Various electronic doors in the environment can be hacked to open but the fun really begins when you are able to hack automated turrets to turn on your enemies as well as electronic minefields which you can lure your foes into. Another significant enhancement to Crysis 3’s combat and the most prevalent is the Predator Bow. It’s a one-shot kill weapon and can successfully be used while cloaked and energy will not rapidly drain when used. The capacity of your quiver is limited; however, arrows can be retrieved from dead enemies or random surfaces for re-use. The bow also has secondary fire modes including explosive tipped rounds and electrical darts for stunning enemies. The Predator Bow has to be the most satisfying weapon to use in Crysis 3 simply because of what its name implies. It’s downright predatory to sneak in tall grass and pop an enemy in the head with an arrow. In fact, this kind of gameplay mechanic and feel of a predator like nature is very reminiscent of Metal Gear Solid 3: Snake Eater. The Predator Bow is also very useful when needed to conserve conventional ammo for firefights whenever the time may arise. The multiplayer, although exciting and refreshing, isn’t too impressive. Crytek UK worked on the online component and they ought to be commended for their use of the Call of Duty class/loadout/perk systems that other shooters seem to be applying to their multiplayer components. My only gripe is how the Nanosuit plays into this method, specifically Auto Armor and how difficult it can be to dispose of enemies when this activates immediately on contact. 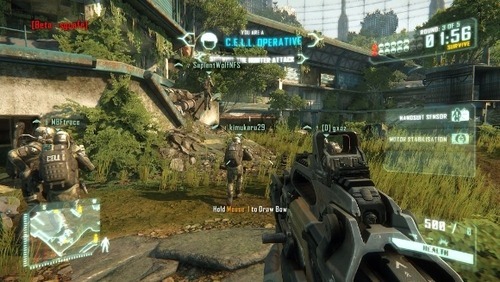 The game modes haven’t changed from Crysis 2 which includes standard Team Deathmatch, Crash Site, and others. The newest multiplayer mode, Hunter Mode isn’t very different from those who may be familiar with Infection originally from Halo 3 but still very enjoyable all the same. Playing Crysis 3 on the PC is an absolute spectacle to look at. Considering how beautiful the two previous games were on PC, this should be expected. Nonetheless, it is worth the experience to gaze at the mixture of urban architecture with deep jungle to create a world not experienced before to this scale in a video game. Gorgeous lighting, brilliantly scaled environments, and breathtaking detail in the visuals right down to the individual blades of glass gives players more than enough to drool over whenever they may be feeling bored with the single-player. 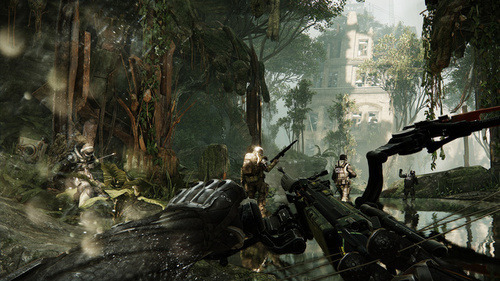 Crysis 3 is an exceptional iteration of the series. The level of polish is unexpected in a good way and the story is still quite good despite being on the verge of something greater. While the multiplayer isn’t quite groundbreaking compared to the leaders of the particular genre, it’s a welcoming alternative. It is well controlled, well paced, looks beautiful, and a great level of difficulty. I expect we’ve seen the last of Crysis as far as this generation is concerned; however, the next generation could bring us nice surprises. This PC version was used for this review. Value Verdict: Crysis 3 at this time stands at a full $60. Well worth the expense. What Is Assassin's Creed: Rising Phoenix?